I have to say, you guys are killing it in the holiday mantle decorating department! Talk about some creative ladies. Thank you so much for linking up! The link party will remain open until Christmas day, so come on by whenever to link up your mantle or to get a little Christmas inspiration. I'll be choosing a few of my favorite mantles to feature... assuming I can narrow down my favorites. They're all so good! Don't forget, tomorrow I'll be sharing the piece de resistance of Christmas... our Christmas tree! Come join the Christmas Cheer in the Blogosphere party again and link up your Christmas tree with me tomorrow over at Megan's blog, Honey We're Home. Oh and while you're at it, Rhoda is hosting a mantle party today over at her blog, Southern Hospitality, so head on over and link up with her too! Way too much party fun in blogland these days. Tis the season! On another note, my sweet friend Lauren is heading up a wonderful blogger initiative for a charity by the name of charity: water and their program Well Done. Last year, we helped to raise over $5,000 in order to build a water well, bringing fresh water to approximately 250 people. 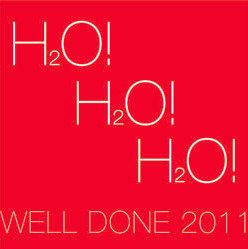 And now we're back for 2011, ready to bring more fresh water to impoverished places. Here's some information that I shared last year on the program. Charity Water is a non-profit organization that helps to fund a mission to bring clean drinking water to developing nations. Right now, almost a billion people on the planet don’t have access to clean, safe drinking water. That’s one in seven of us. Blogging is such an awesome little community- it still floors me that people like to hear me chat on and on about painting cabinets, making curtains and spray painting everything I own. So I'm honored to be able to use this blog as a platform to share this organization with all of you. We're blogging for charity. Feel free to grab a button and share. This is a great platform to bring awareness to this. 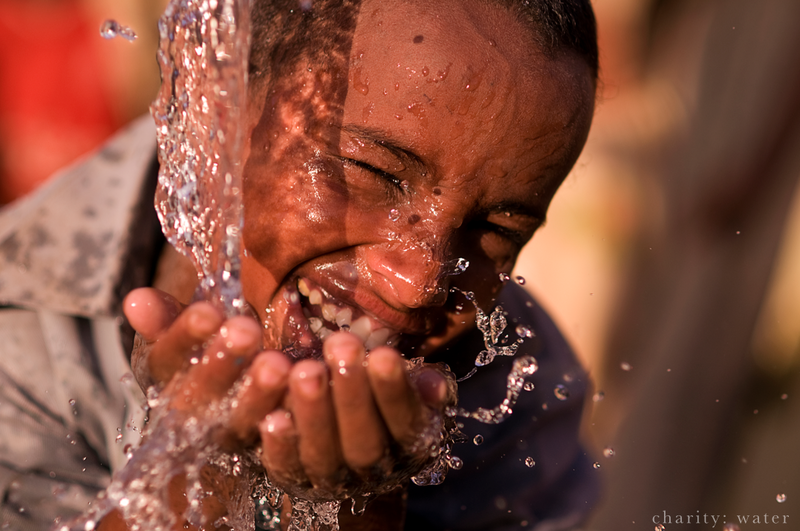 Water is a necessity and we don't think enough about others....the fact that not everyone has clean drinking water. I've watched a few documentaries on water.....and I've almost always been aware of water....not to waste water. The fact that you can sit in a bathtub full of water whenever you want...that's alot of water for one...and two....millions (maybe billions) of people don't have that luxury.